Munich, Germany, 22nd July 2015 – German Digital Cinema expert zweiB GMBH today announced its partnership with NexGuard, a Civolution company and the leading provider of forensic watermarking technology and solutions, to facilitate the detection of watermarks in digital cinemas in the DACH region (Germany, Austria and Switzerland). The partnership allows zweiB to trace the original source of illegally re-distributed movie samples using NexGuard Digital Cinema, Civolution’s forensic watermarking solution designed specifically for digital theatrical projection. NexGuard Digital Cinema offers unique and imperceptible video and audio forensic watermarking, enabling illegal copies of theatre movies projections to be traced back to a specific cinema screen, with the date and time of projection. 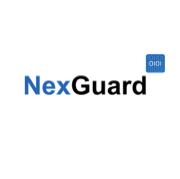 NexGuard Digital Cinema is fully compliant with the specifications of DCI (Digital Cinema Initiative), set up by Disney, Fox, Paramount, Sony Pictures Entertainment, Universal and Warner Bros. Studios to define the standards for digital movie theatres. 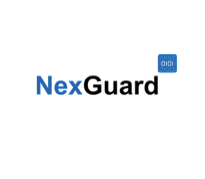 “After signing earlier DCI watermark detection partnerships in the US and Asia, we are very pleased to work with zweiB as our first partner in Europe to combat piracy, safeguard revenues and enable Europe’s film industry to flourish,” said Harrie Tholen, SVP Worldwide Sales at NexGuard.